This time the spotlight will be shining on Chess Heroes, which is essentially Chess… cranked up to eleven: spells, special moves and more strangeness, all put a unique spin on the classic board game. Let’s see if we can’t help it escape the cold emptiness of Greenlight limbo, eh? Show of hands, who doesn’t enjoy Chess, even if only slightly? And even if you don’t, Chess Heroes sounds like it might still win ya over, simply because of how different it plays. As someone who’d rather play Battle Chess than vanilla, this is definitely right up my alley, and I’m sure other feel the same. Strange abilities, smaller boards, different rule sets, and in this case, the king is far from defenseless! Just look at the trailer at the end of this article and you’ll see him spew fireballs and blast the opposition with cannons. Yup. Oh and the developer’s even made promise of a “cinematic story”, so I guess we’re about to find out how much plot a game of Chess can contain, vastly different rules or not. Definitely one to… check out. 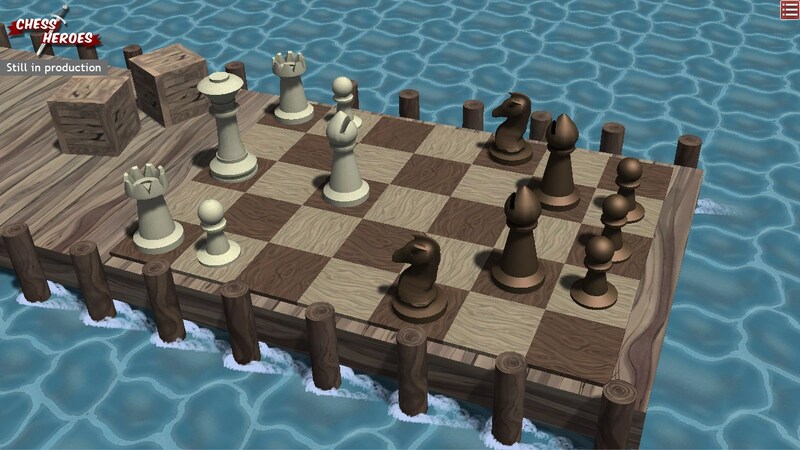 So riddle me this, dear reader: why is Chess Heroes still struggling to get through Greenlight? It’s not out yet, but should be at some point later this year, and hey – a demo is available. As such, might I recommend visiting its Greenlight page and handing over a ‘yes’, if you like what you see? Remember: your vote matters!